The three movements in this blog post compromises a very effective core activation drill that you can do anywhere. The overall goal of this core circuit is to wake up the shoulders and hips, and to prepare the spine for movement. If you’re a newbie to strength training, you can use it as a core workout. 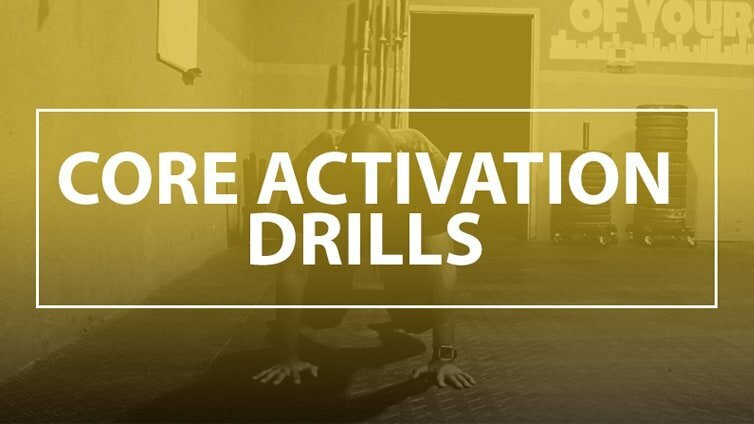 If you’re more conditioned, this drill can better serve you as a warm up or activation circuit. The days of working out and not warming up before are long gone. 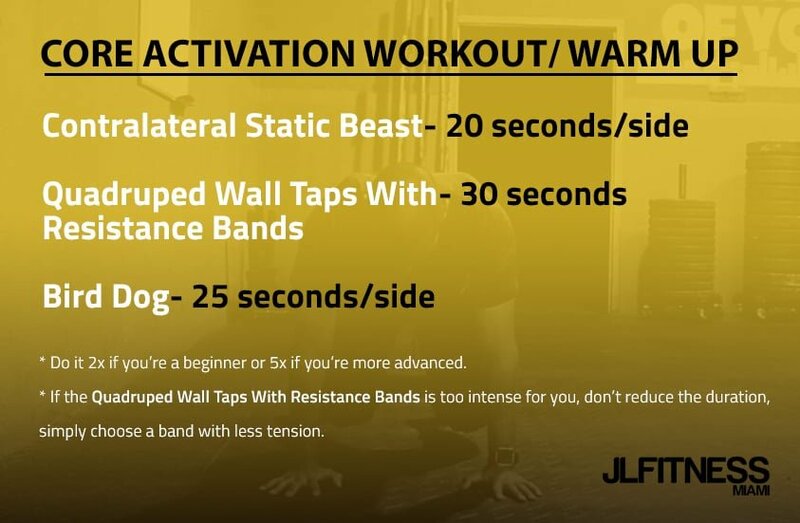 If you’re serious about taking care of your body, then you should make warm ups an integral part of your training routine. The following three exercises have something in common- they require you to be in a quadruped position. Quadruped refers to an animal or mammal that is four-footed. So yes, you will be on all fours. A position that was once natural to us when we were kids playing on the ground. Keep your spine in a neutral position. Don’t over arch your lower back and don’t round it either. Keep your knees about inch or two away from the ground. Make sure you don’t allow the band to bring your legs together. Don’t shift your torso or hips as you reach the wall with your arm. Don’t perform the exercise with haste. Lift opposite limbs at the same time (arm and leg), and return them back to the ground at the same time as well. Pause briefly at the top position. Don’t rotate your hip outwards as you extend you leg. Your hips should be squared, facing the ground. 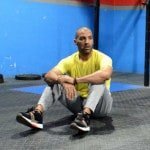 I learned this exercise from Mike Fitch and his Animal Flow Bodyweight system. Lift opposite hand and foot off the ground at the same time. They should be about an inch or two away from the ground. Don’t hike your hip to one side or shift your torso.